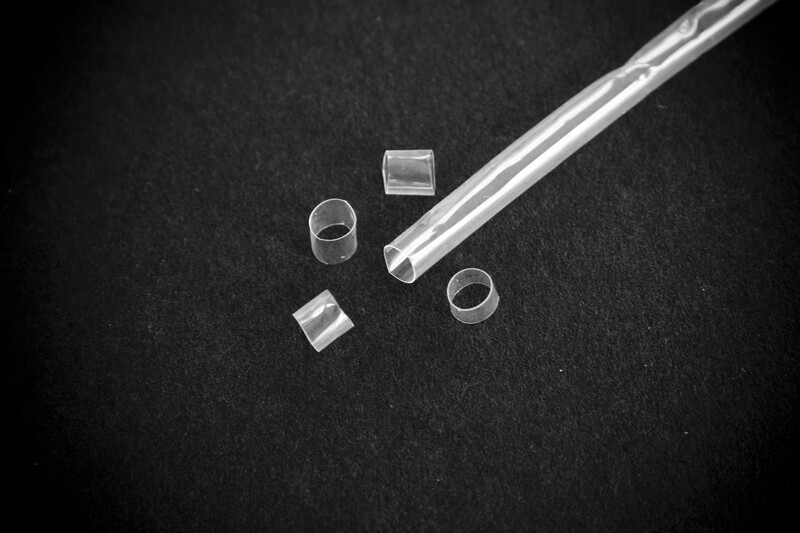 Hilltop PTFE heat shrink tubing is manufactured from polytetrafluoroethylene, an excellent high temperature covering and insulation material with a milk-white translucence. Has added advantages of thin wall high shrink ratio, greater flexibility and transparency in application. Can be used within the medical industry. It is highly flame retardant and exhibits outstanding chemical and solvent resistance with electrical characteristics which remain stable over a wide temperature range. The operating temperature ranges from -70°C to +260°C and up to +400°C for short periods. The major uses of this material are for electrical insulation, protection of electronic components and the covering of hydraulic hose and coupling preventing contamination and corrosion. The high mechanical strength and extremely low coefficient of friction make it ideal for reducing damage to bearing shafts, etc. Supplied in Clear as Standard.